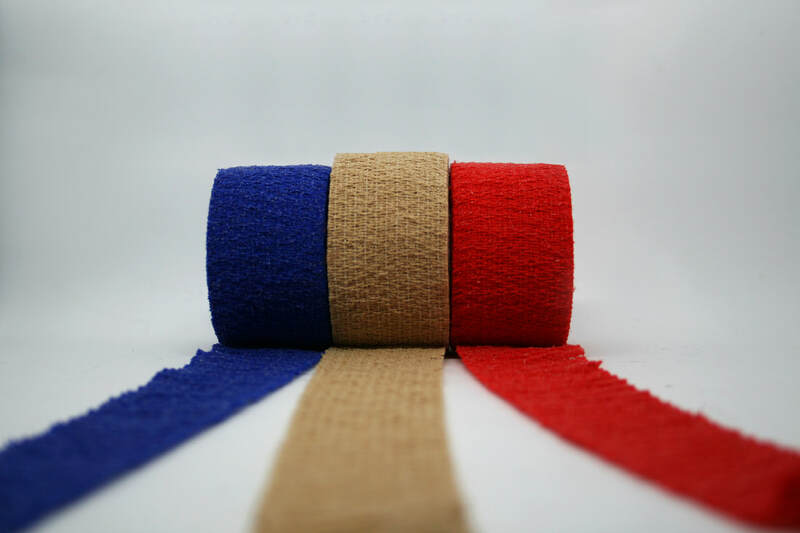 The only natural finger bandage on the roll for the treatment of joint and flesh injuries, now made of 99% cotton. Thanks to a new composition and special weave structure, our bandage with up to 40% stretch is now even more elastic and lighter allowing the greatest possible freedom of movement and flexibility. 99% cotton for maximum breathability for better and more gentle wound healing in case of scratches, cuts and open wounds but also as ideal compression for joint injuries and internal wounds. The elasticity makes Be-Schu-Plast® Finger dressing very resistant to the typical stresses of everyday life at leisure or at work. Very soft as well as water and grease resistant. 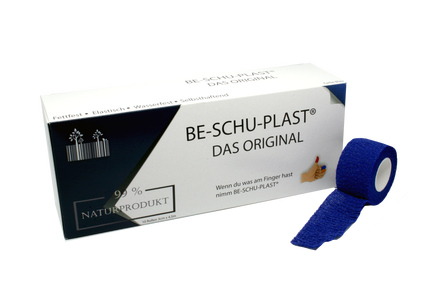 No need for more clips or hooks because Be-Schu-Plast® Finger Bandage is self-adhesive, therefore no sticking on the skin, hair or wound. And by painless removal without adhesive residue even in children very popular. The deliberate renunciation of synthetic fibers of synthetic origin therefore makes BE-SCHU-PLAST® Finger Dressing particularly gentle for users with allergens or sensitive skin sterilisable with gas and steam at 121 ° C, X-Ray and Gama. according to medical device class 1 with CE marking according to HACCP concept. The cooling bandage on the roll for the treatment of strain, compression, bruising of the bruise. Cooling and compression for up to two hours. 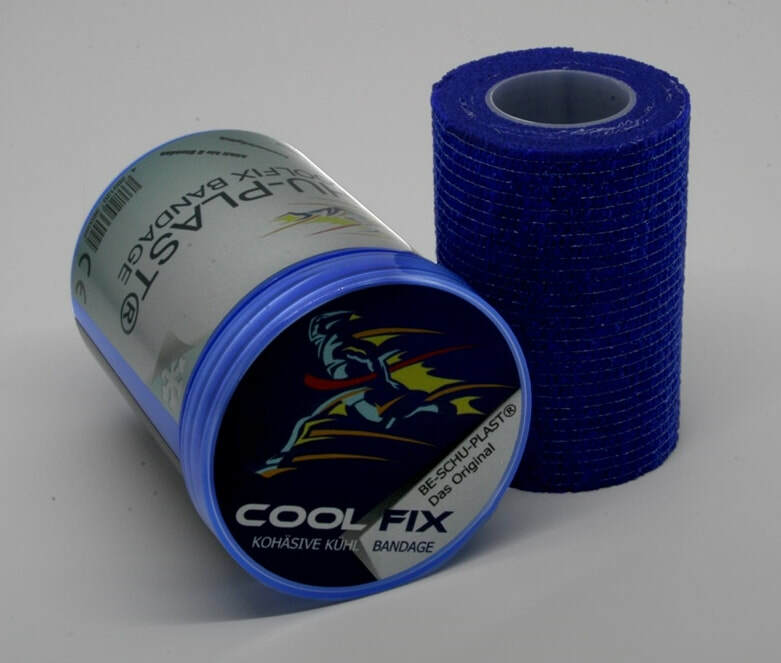 BE-SCHU-PLAST® COOL FIX is a lightweight, cohesive, permanently elastic fleece bandage with immediate cooling effect thanks to skin-friendly cooling fluid. The latex-free coating does not pose a risk for users with latex allergy easy to use: wrap 2-3 rounds around the affected area and cut at any point. No straps or clips needed for fixing or attaching. The remainder of the product can conveniently be stored in the closed box until needed for the next application. Thanks to the immediate cooling effect and the additional compression effect, it prevents excessive swelling and is ideally suited as a first aid treatment. Strain, sprain, contusion, bruising, swelling. e.g. Medical, catering, at home, in the kitchen, construction site, hairdresser, butcher, garden, animals, DIY, sports area ... etc.